As the night began to wane on the meeting, the members of Ukulele Club once again gathered in a demonic chorus to Jason Mraz. Setting fire to lesser stringed instruments as tributes, a massive bonfire of banjos, lyres, and lutes began to form within the circle of quirky, hipster, blood-letting fans. “I originally didn’t believe in Dark Lord Mraz, but after I heard the endless covers of ‘I’m Yours’ by out of tune twelve-year-olds over and over again on my Facebook feed, I knew only a being of great power could create such evil.” said one cloaked member reverently, gently cradling their Uke, and wiping sheep intestines off their Converse. 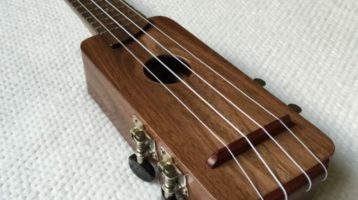 Though the Ukulele Club has long been embroiled in scandal, all attempts by the University to investigate or to control the club-turned-cult have failed. “Look, no matter what’s happened in the past, no matter your musical ability, we can all celebrate the gifts of Drake Prince of Darkness Mraz,” said yet another anonymous member. “Just come to a jam session any time, no experience required! As He who Can Effectively Pull Off a Fedora has taught us, ‘Open up your mind and see like me/Open up your plans and damn you’re free/We’re Just One Big Family/Kill Justin Timberlake Fans’”.